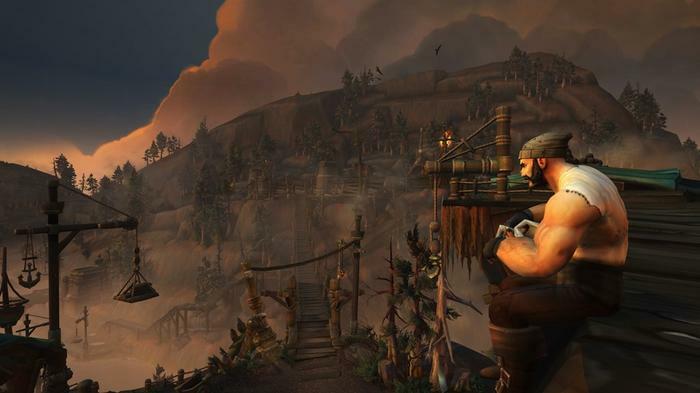 Over the 13 years it’s been active, Blizzard have taken the players of World of Warcraft to places far from the series’ classical fantasy roots. They’ve wandered the shattered barrens of Outland, the frozen wastes of Northrend, the whimsical Jade Isles and even traveled back in time and rewritten the series’ history in Warlords of Draenor. By comparison, the upcoming World of Warcraft: Battle for Azeroth looks to be taking the game back to its core conflicts. At a glance, it all sounds very back-to-basics for the series. However, that’s not to say that Blizzard aren’t taking the chance to rework some of the game’s core leveling experience with the new expansion. 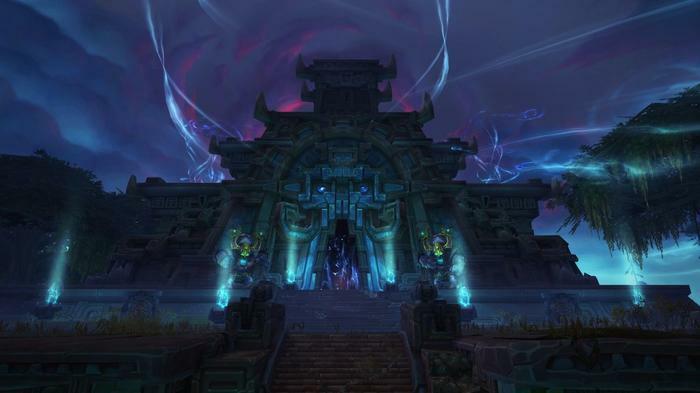 We caught up with Senior Game Designer Paul Kubit and Producer Shani Edwards to talk about Battle for Azeroth's new Allied Races and scaled leveling experience. 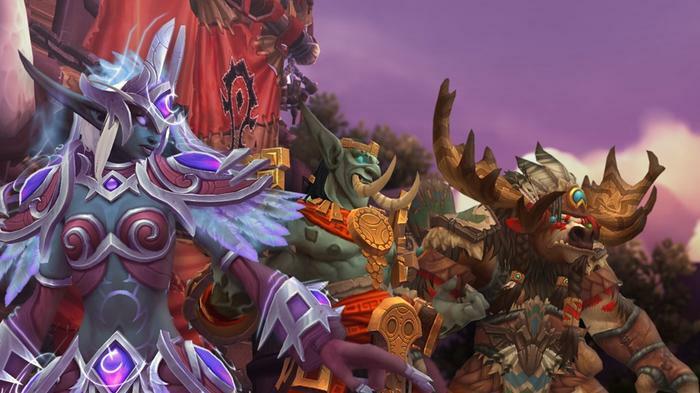 New races are one of those things you expect out of any sort of World of Warcraft expansion. Why go with this new concept of Allied Races, rather than a regular race or new hero class? 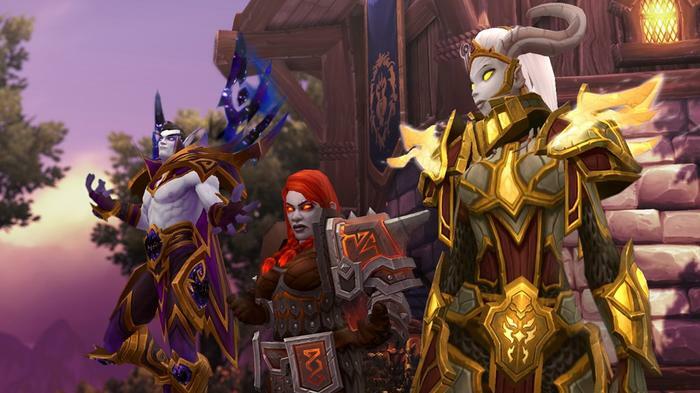 “You've fought [alongside] those in Legion and they felt like a good fit for races that you'd want to recruit to your side when you” know that there's some impending battle coming between the Horde and the Alliance. I've heard some players describe the Allied Races as sort of a equivalent of hero classes for the game's existing race system. Would you say that, that's accurate? Shani: No, I wouldn't say it's accurate. They're more of a prestigious thing, because you can't just jump in and play an Allied Race. You have to earn their trust, you have to complete their campaign questline, and you have to complete their recruitment questline before you can actually play them. So, it's more something that shows, "Hey I played in Legion, I accomplished these things, and I recruited these Allied Races to my faction." With the Allied Races you've announced, what kind of gaps do they fill thematically, or aesthetically, or mechanically in the Horde and Alliance factions? Shani: “Well, one great thing about them is they're all new customizations. The Void Elves, for example, they have some of the most elaborate hairs that we've ever done on any player character race. They have Void Tendrils at the end of them, they have a special mechanic that changes their color when they hit procs in in combat. Of the announced Allied Races, none of them offer the Death Knight class. Is there a specific reason for this? Paul: "When we were going through the Allied Races and, kind of, choosing what made the most sense for those races, we went through a number of considerations - first and foremost story considerations." “Although we have in the past we have done some retconning - well, not retconning but, I would say fiddling with the story to make sure that Death Knights work. Here, we wanted to make sure that Allied Races were focused on the core fantasy that those Allied Races were, and so Death Knights didn't end up on any of those particular Allied Races. Are Allied Races something that you've discussed internally for previous expansions in the past, or is it a new idea that emerged with this expansion? Can you tell me about any potential Allied Races, which you discussed but didn't end up making the cut as a playable faction? Shani: "Pretty much anything with two legs we discussed being an Allied Race - but these were the four that stuck because thematically, you played alongside them in Legion and they just made the most sense for the story." Is the current lineup of Allied Races something you envision being expanded down the line? Shani : "It's definitely something that we've talked about and we might do in the future, but no current plans to go with that right now." Revamping older content and giving players a reason to revisit it is something you've experimented with a little bit in Cataclysm, can you talk to me about how what you did there informed this big change? Would you say this is the most significant reworking of old content you've done since Cataclysm? Is there any content that won't really be subject to this new scaling system? Paul: It's most everything. There's a couple zones here and there, that it didn't make sense to do scaling for because either there isn't really any content there. That's really it. Things like the area around Karazhan, some of the PVP zones in Cataclysm and so on. Other things that weren't scaled: Heroic Dungeons as well as Raids. Those we decided, were things that we wanted to keep at the end of their expansions and focused on a specific skill and gear level as opposed to having them scale to you. Was there any internal resistance to this big change? Paul: I wouldn’t say there was resistance. This was something that we progressed towards with a plan where we scaled the Legion zones first. That worked well enough that we decided this was something that we would like to try, so, I wouldn't say resistance, I'd say there's a lot of iteration. There's a lot of different things we tried before we got to the system we liked here. What was something you tried that didn't pan out? Did you find that changing it to the scaled system has resulted in any significant changes in the behavior of players and the way they approach the content?